Yeah I’m in my revival geek – happy goth phase. 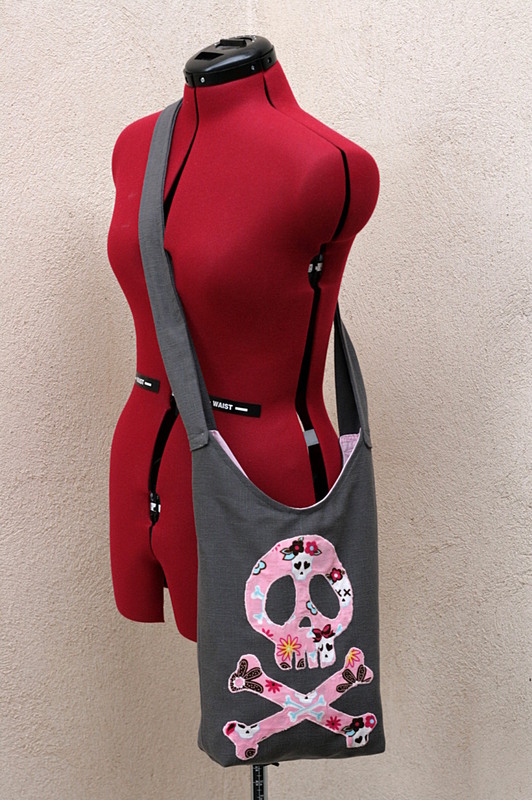 Hence this simple bag to carry across the chest with an appliqué of Harlock’s symbol : the skull. Harlock is called “Albator” in French and is a cartoon/manga hero from my childhood. This is a self-draft pattern for a sling bag. 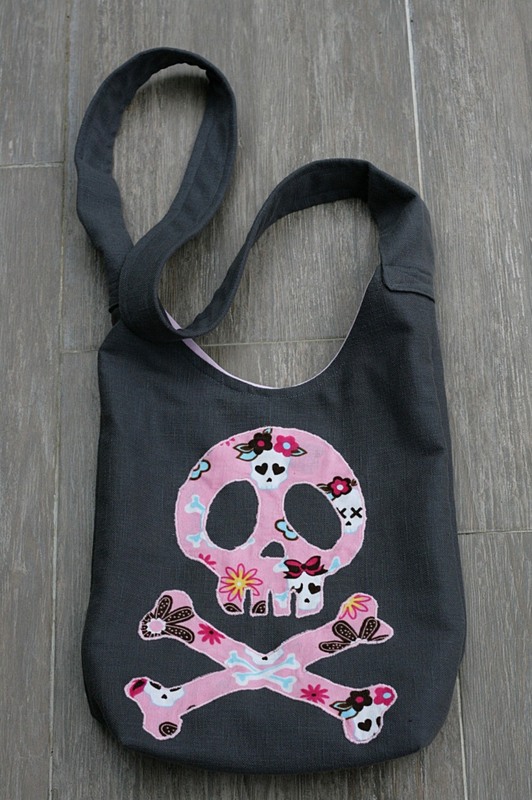 This bag is quite simple to make. 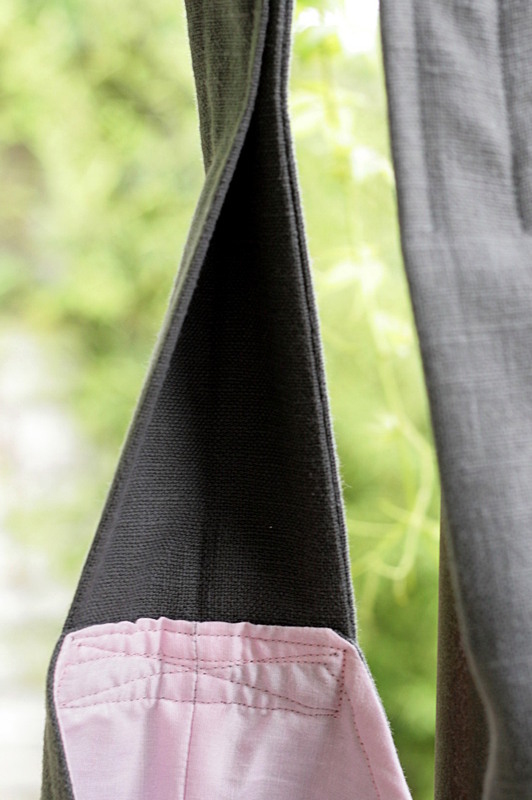 My version is lined with a small pocket on the inside but I also indicate in the tutorial how to sew a version without lining, for those who want a bag ultra quick and easy to make with only 3 pieces to sew together. 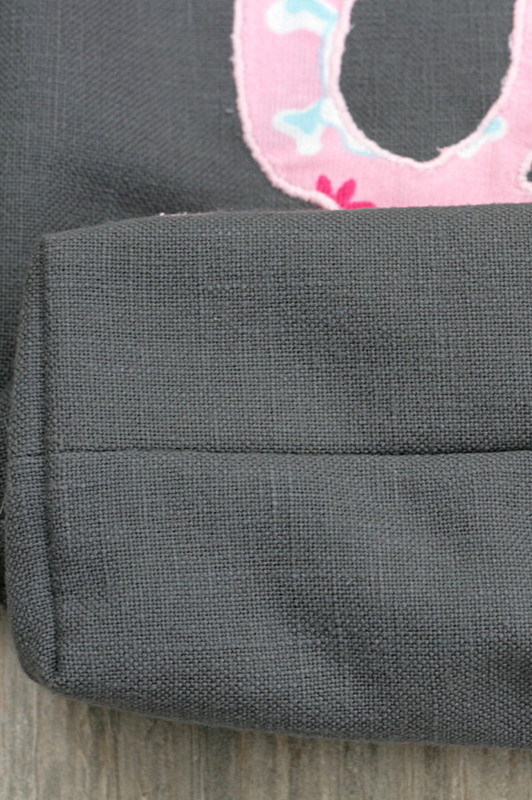 The main fabric gray linen. 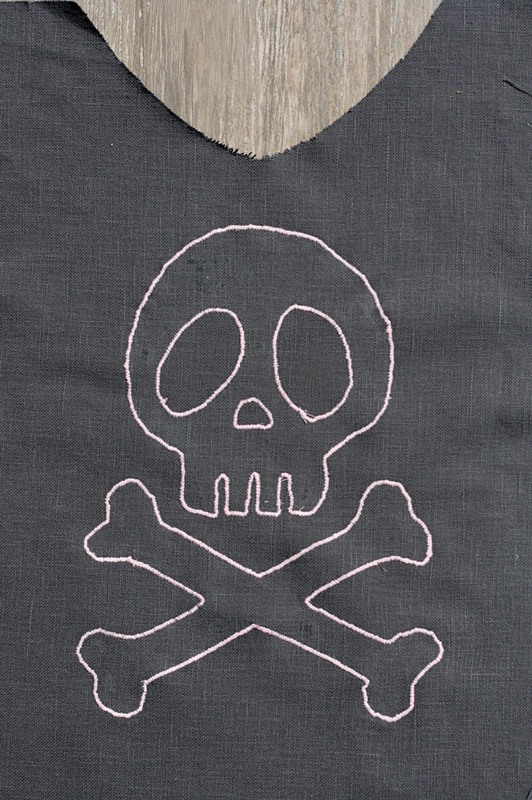 The appliqué was made with a scrap of “cool cords skulls slipper” by Robert Kauffman. It is a fine cord that I used for an A-line dress for Petite Chérie. 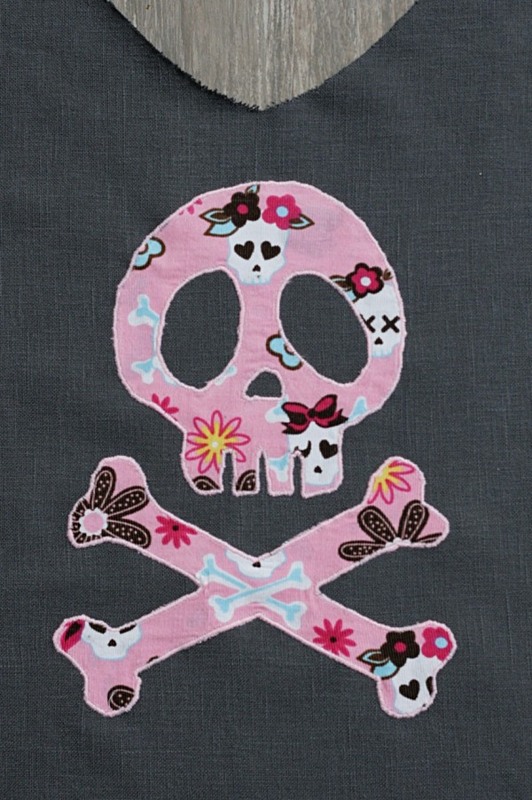 A little mise-en-abîme since the skull appliqué is made in a skull print fabric. 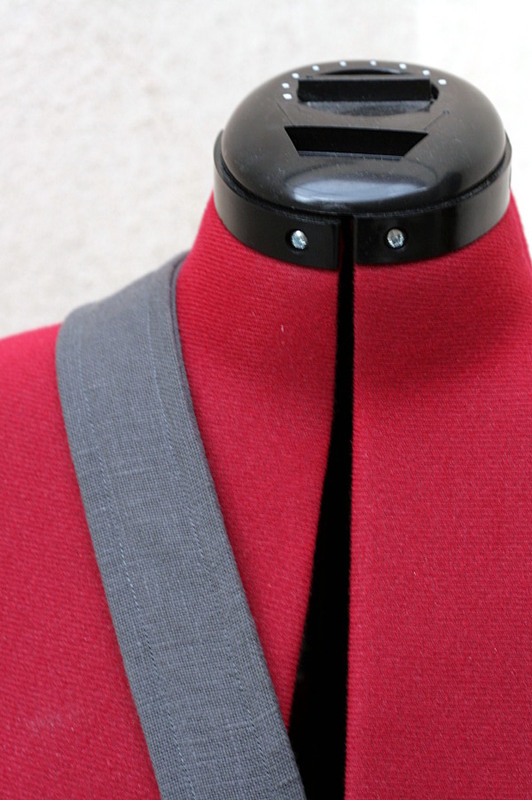 It was my first appliqué… Despite some mishaps I managed it. I just found it a bit long, I must say that it is altogether my fault, I did not choose the most simple shape. 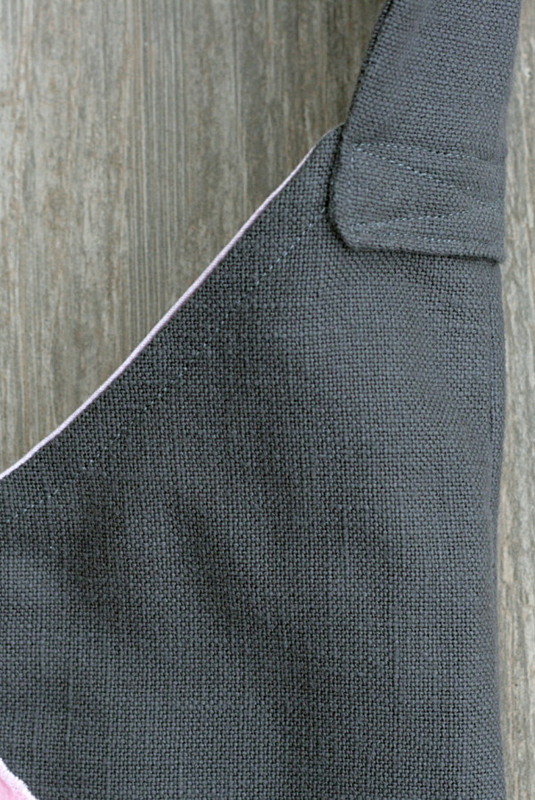 The lining is pale pink cotton. 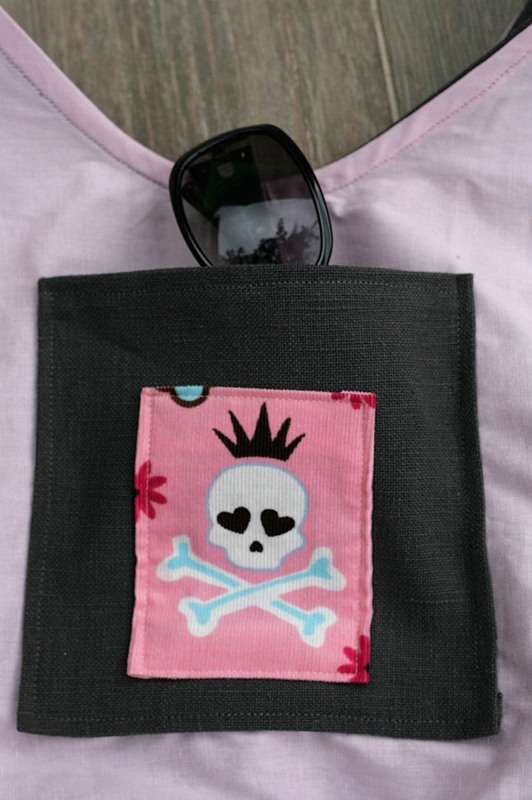 The inside pocket is gray linen with a small patch of “cool cords skulls slipper” sewn on it. 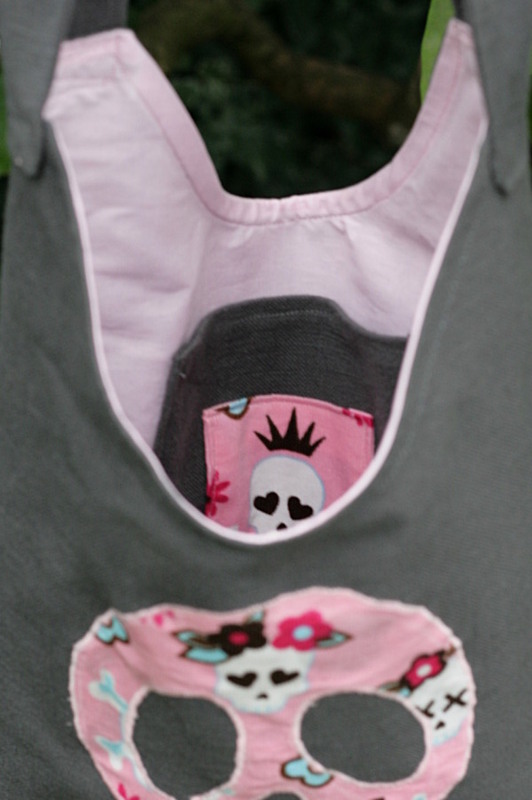 This entry was posted in Bags, Blog, Sewing Projects and tagged Easy Sewing, Free patterns by Véro. Bookmark the permalink.